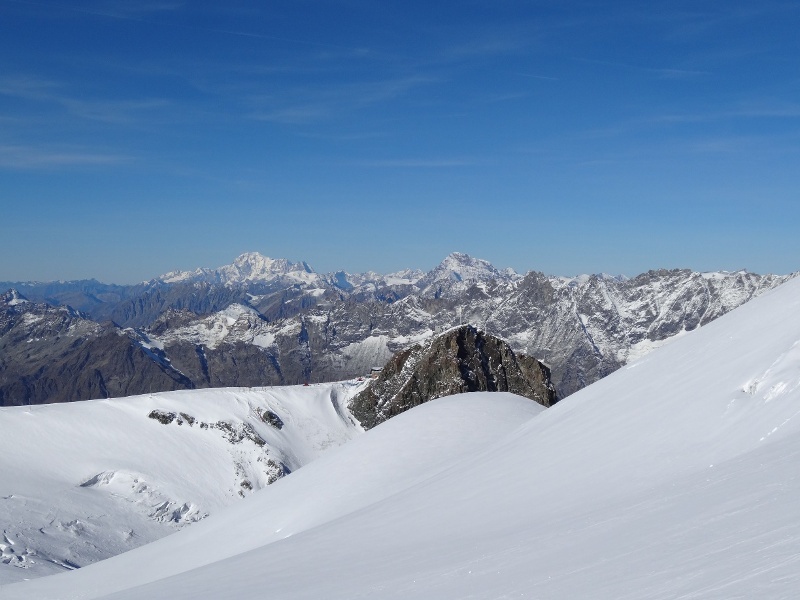 This tour is a perfect way to get a sense of high Alpine air for the first time but only for surefooted and experienced mountain hikers accompanied by a mountain guide. 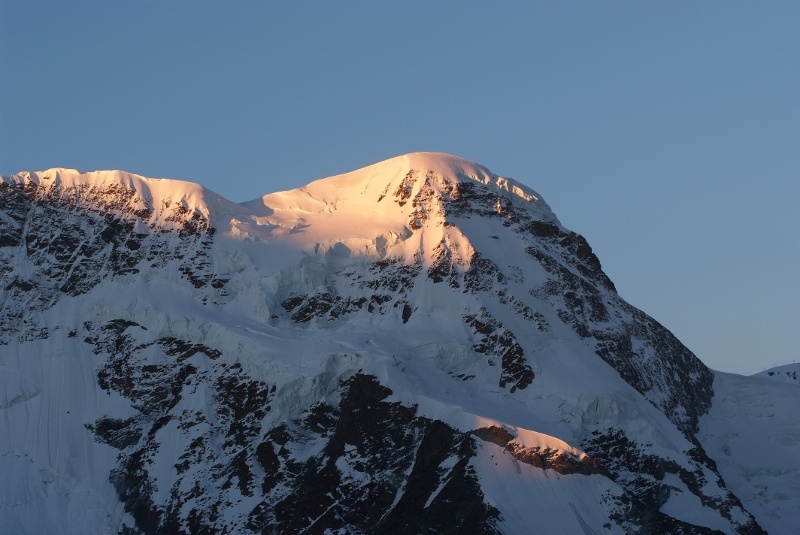 The tour includes climbing a glaciated four thousand-metre peak, and this is not to be underestimated. 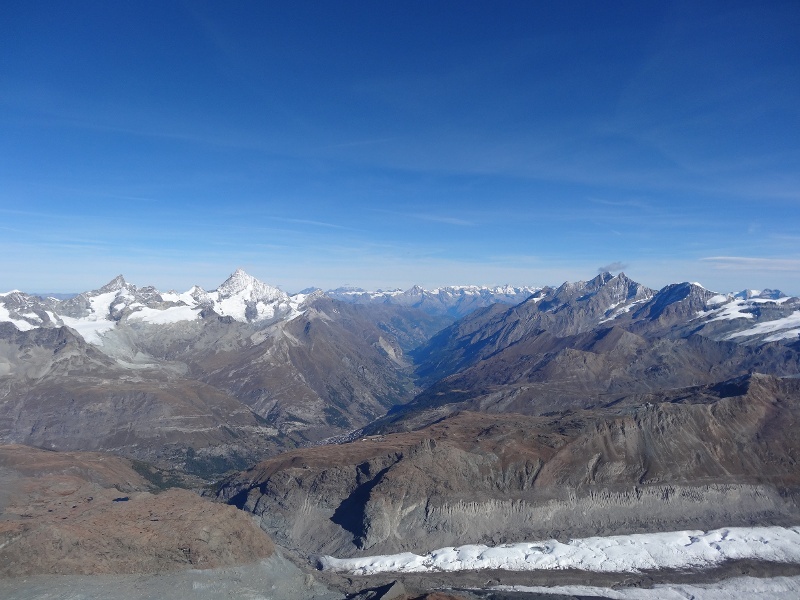 In the early morning, one takes the aerial tramway to Matterhorn glacier paradise at 3,883 m. The climb to the top and the descent afterwards lasts about three hours depending on the conditions. 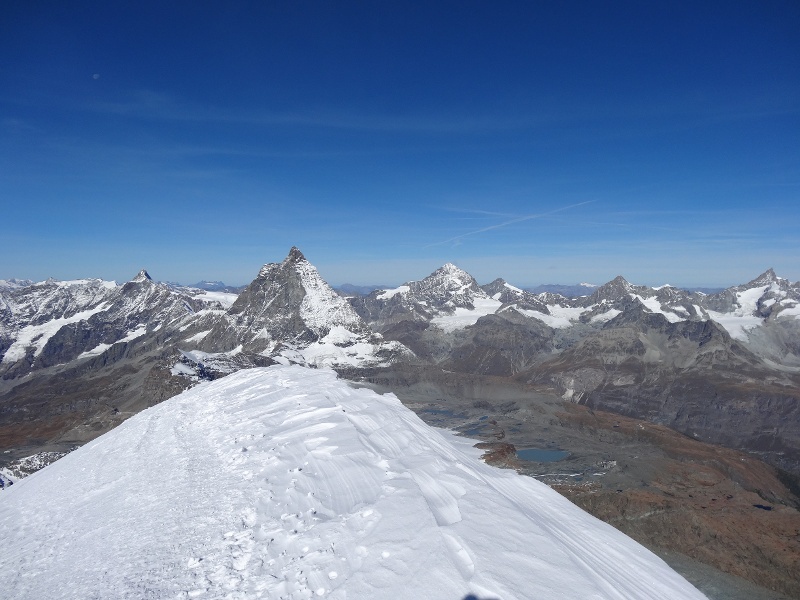 Even though the climb is not dizzying, the tour does offer a high Alpine mountain experience where one can live out the feeling of having one’s head already in outer space. We recommend a guided tour with a mountain guide who knows well the place.